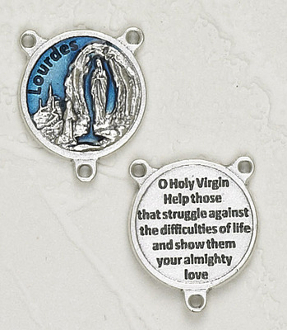 Verse on back side our Deluxe rosary centers are known for the most Beautiful intricate designs imported from Italy. Silver Oxidized enamel Color Rosary Parts. Measurement does not include eyelet.